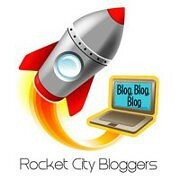 Every month, the Rocket City Bloggers hosts a carnival. For the writers, it's a chance to get the creative juices flowing or share a favorite post. For you, it's a chance to meet some new bloggers, all of whom are in the Huntsville area. This month, I am hosting. I volunteered to host, but had to scoot before we settled on a topic. I laughed when I found out that the selected topic was "food". I mean we all know how I feel about food. 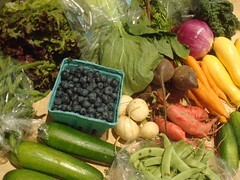 I blog about recipes, take photos of our CSA share, and write restaurant reviews. Naturally, I loved hearing everyone else's thoughts on food. Food is intimately tied to our experiences, so it is no surprise that it is often central to our memories as well. David shares photos of food he has captured as part of his 365 day project. Mrs. Mood recalls the best meal of her life, which she enjoyed in Italy on her honeymoon. Jane Random also recalls a memory from Italy, this time a case of mistaken identity. Bo stays a little closer to home in his tale of an odd mayonnaise encounter and Bill reaches back in time for a cold drink. For those looking to the future instead of the past, Suzanne helps us plan our next road trip by uncovering the best ice cream ever. Rebecca suggests a culinary adventure in our own kitchens with crazy feta. Looking to get the kids in on that kitchen action? 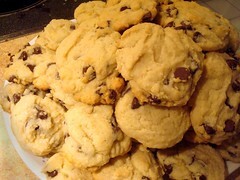 Nina shares some tips and recipes for getting kids involved. Calluna discusses giving foods a second chance. Sometimes, it makes sense to stand back and look at the big picture. Hot Wheel Hacienda shares discussing the origins of our food with her son while Katie offers some perspective on baking for school functions. Joe offers some help for those trying to eat healthier while on the run and Heather shares the power of food.